Parkinson’s disease affects neurons or nerve cells and is chronic and progressive. The nerve cells produce neurotransmitter chemical dopamine that sends signals between various parts of the brain. When this gets impaired, body movements are affected. Common symptoms include tremors, muscle rigidity, changes in posture or walking pattern, loss of balance, changes in handwriting and speech, increased falls and bradykinesia. Genetic and environmental factors are held responsible for the development of Parkinson’s disease. In Parkinson’s disease, a protein named alpha synuclein starts accumulating in the brain at abnormal levels and leads to the formation of Lewy bodies. There is a reduction in dopamine levels, a neurotransmitter which leads to the death of brain cells in the midbrain (substantia nigra) and this impairs motor function. Treatment involves medication called levodopa which rectifies the reduction of dopamine levels. 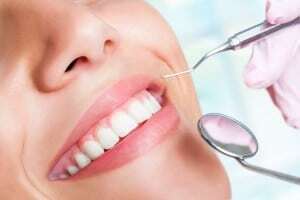 Other medicines like dopamine agonists, MAO inhibitors may be prescribed and even surgery is one of the treatment options offered. There is ongoing research that is trying to identify the precise causes of Parkinson’s and a cure. Until then, with available treatment and proper care, patients can live fulfilling lives. Selective deterioration of dopaminergic neurons causes Parkinson’s, which is an age-related neurodegenerative disease. Current treatment for this condition aims at replenishing striatal dopamine. However, these medications do not help in the long-term and even cause motor complications. They also do not prevent other Parkinson’s symptoms like postural instability, tremors and cognitive defects, nor are they neuroprotective. New studies are being conducted on the use of antioxidant herbal remedies in treating Parkinson’s. Turmeric compound curcumin, a polyphenol, has anti-inflammatory, anti-cancer and antioxidant properties besides having neuroprotective capabilities since it can cross the blood-brain barrier. Herein we have assessed 50+ research studies to give a fact-based detailed outlook as to how turmeric shows therapeutic potential in Parkinson’s disease. Curcumin by virtue of its antioxidant, anti-inflammatory and neuroprotective property finds many therapeutic applications in Parkinson’s disease. As an antioxidant, curcumin prevents the action of free radical species, peroxynitrite which causes oxidative damage to brain cells in Parkinson’s. In an animal model of Parkinson’s disease, curcumin is found to bring about various positive changes. It prevented the reduction of antioxidant enzymes in the brain which otherwise would cause cell death in the brain. It also prevented the reduction in brain chemicals like dopamine and acetylcholine which are vital in brain function. Curcumin elevated the levels of proteins that are essential for maintenance and nerve growth. Homocysteine is an amino acid which is elevated in Parkinson’s disease and this contributes to neurotoxicity. Curcumin protects the nervous system from homocysteine-induced toxicity and prevents impairment of motor function. Animal studies show that curcumin protects from learning and memory deficits caused by elevated homocysteine levels. Curcumin formulation is found to prevent motor impairment in an animal model of Parkinson’s disease. Curcumin as an antioxidant protects from oxidative stress in Parkinson’s disease. As antioxidant curcumin inhibits the destruction of neurons in the substantia nigra and prevents the reduction in dopamine levels. Apart from anti-inflammatory and antioxidant properties, curcumin acts on various biochemical pathways to prevent cell death of dopaminergic neurons. Curcumin counteracts the inflammation caused by neuronal degeneration induced by reduced dopamine levels. Curcumin is identified as one of the phytochemicals present in a plant-based diet which could be of the relevance of treating and preventing Parkinson’s disease. A report published in the Journal of Ethnopharmacology, 2016 suggests that even Ayurveda- traditional Indian medicine system recommends turmeric for Parkinson’s. Curcumin benefits in Parkinson’s disease in multiple ways: prevents reduction in dopamine, reduces oxidative stress, prevents cell death of dopaminergic neurons, prevents inflammation, memory deficits and motor impairment etc. Dietary curcumin can prevent Parkinson’s disease. Cell death of neurons or brain cells that produce neurotransmitter, dopamine is characteristic of Parkinson’s disease and impairs motor function. An animal study was conducted to examine whether turmeric consumption could help in protecting the dopaminergic neurons from cell death in Parkinson’s. Parkinson’s was induced by administering a drug named MPTP which produces symptoms similar to the disease. The death of neurons in Parkinson’s occurs as a result of mitochondrial dysfunction; mitochondria are powerhouses of the cell and aid in cellular respiration. Turmeric supplementation protected from neuronal cell death occurring as a result of this dysfunction. It also prevented abnormal changes in neuronal proteins which are a marker of oxidative stress. Curcumin derivatives also show similar action. Another study also proves that curcumin protects the brain mitochondria which is of relevance to Parkinson’s disease treatment. CNB-001, a novel derivative of curcumin is found to protect the dopaminergic neurons from cell death in Parkinson’s disease. Curcumin is famous as a chelating agent- it accumulates toxic metals as compounds that can be excreted. By virtue of its iron-chelating properties, curcumin is found to suppress iron-induced degeneration of dopaminergic neurons- the loss of which leads to symptoms of Parkinson’s disease. Reduced levels of glutathione, antioxidant leads to degeneration of brain cells. Curcumin and derivatives of curcumin as antioxidants protect against such degradation. Curcumin’s anti-inflammatory, anti-apoptotic, antioxidant and chelating properties protect dopaminergic cells from cell death. Alpha-synuclein is a protein found in brain cells. In Parkinson’s disease, these proteins undergo changes in structure which cause cell death in brain cells. It forms protein aggregates called Lewy bodies. Curcumin is found to inhibit such activity by inhibiting oxidative stress-imbalance between prooxidants and antioxidants. Curcumin inhibits overproduction of alpha-synuclein and prevents its mutations. Curcumin inhibits the formation of alpha-synuclein fibrils which give rise to Lewy bodies. Curcumin and its analogue prevent accumulation of Lewy bodies. Macroautophagy is a process that degrades that proteins in cells and this process is impaired in Parkinson’s disease due to an accumulation of protein-alpha synuclein. Curcumin reduces the accumulation of alpha-synuclein by recovering the macroautophagy process. Researchers at Oregon Health and Science Institute have found that curcumin treatment prevents motor function impairment occurring as a result of alpha-synuclein accumulation. Curcumin activates the level of transcription factor EB, a protein that regulates autophagy and in turn reduces neurotoxicity. Autophagy degrades the accumulation of protein alpha-synuclein. Curcumin has the ability to cross the blood-brain barrier and inhibit alpha-synuclein accumulation and toxicity in Parkinson’s. Alpha synuclein protein accumulates in the brain leading to formation of Lewy bodies in Parkinson’s disease. Curcumin inhibits accumulation of alpha synuclein and this is extremely important especially if science develops a way of delivering curcumin to the brain. Glial cells surround the neurons and provide them with protection. In Parkinson’s disease, they produce abnormal amounts of an enzyme monoamine oxidase which causes oxidative damage and leads to cell death. Inhibition of this enzyme can aid in the treatment of Parkinson’s. Dietary curcumin is identified as a compound that inhibits the activity of this enzyme and reduces oxidative stress. In an animal study curcumin and its derivative tetrahydrocurcumin was found to reverse dopamine depletion and inhibited the activity of monoamine oxidase in Parkinson’s disease. Curcumin inhibits the activity of enzyme monoamine oxidase similar to that of medications-MAO inhibitors that are prescribed to manage Parkinson’s. Animal study shows that curcumin prevents age-related cognitive and memory deficits. A case study demonstrated that turmeric supplementation for 1 year brought about improvement in dementia and memory. Dietary curcumin could be beneficial in treating and preventing dementia. In experimental models of dementia, curcumin is found to be useful in treating it. Curry consumption is associated with better cognitive performance in elderly Asians due to the presence of curcumin. Curcumin supplementation in the healthy older population is found to increase attention, working memory and mood. Curcumin has a number of pharmacological properties that help in ameliorating the chemical imbalance in depression and stress. Curcumin supplementation is as efficacious as Prozac or fluoxetine in treating depression. Review of clinical trials investigating the role of curcumin in depression also points out that curcumin is an effective add-on therapy for depression. Curcumin supplementation can improve cognition and reduce memory deficits and depression in Parkinson’s disease. One of the major symptoms of Parkinson’s diseases is difficulty in movement. The accumulation of α-synuclein leads to stiffness and rigidity in movement. It is proven that dietary administration of curcumin can bring about significant improvement in gait impairment in an animal model of Parkinson’s. CNB-001, a novel derivative of curcumin, It protects the neurons by anti-inflammatory and anti-apoptotic properties and mitigates motor impairment. A recent study published in Pharmacology, Behaviour, and Biochemistry, 2016 demonstrated that curcumin attenuated movement related deficits in an animal model of Parkinson’s by increasing the level of antioxidant enzymes. In a fly model of Parkinson’s disease, curcumin reduces oxidative stress, delays loss of motor function and increases lifespan. Researchers have studied the effects of curcumin in various developmental stages in the fly model in Parkinson’s disease. Curcumin is found to protect from motor defects in early stages of life. Dietray curcumin may prevent motor function impairment and may improve motor function in Parkinson’s. Various derivatives of curcumin have been developed which show enhanced neuroprotective activity than curcumin in case of Parkinson’s. Liposomal curcumin (curcumin wrapped in fat like structures) is proven to improve motor function, prevent apoptosis in neurons and stimulate dopaminergic neurons as a means to ameliorate symptoms linked to Parkinson’s disease. Curcumin glucoside, a derivative of curcumin, prevents clumping and aggregation of α-synuclein. Curcumin and its metabolite, tetrahydrocurcumin also offers neuroprotection and reverses brain damage. 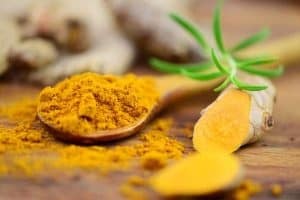 Various compounds are being developed from curcumin which are more potent than curcumin itself in treating symptoms of Parkinson’s and have the potential of being developed into clinical drugs. Here are a couple of Frequently Asked Questions in relation to turmeric’s therapeutic action in Parkinson’s disease. If you have any queries apart from these please write to us or leave your comments below. 1. Can turmeric/curcumin treat Parkinson’s disease? Due to the limited absorption of turmeric in the body, different approaches are being explored to deliver curcumin/turmeric to the brain cells. So there is no concrete evidence of the clinical effect of turmeric in Parkinson’s. However, including turmeric in diet can help prevent Parkinson’s or reduce its symptoms. 2. Can turmeric help in dementia? Yes, dietary turmeric can help in the early stages of dementia and improve cognition. Please refer to the Dosage section below. 3. Should I take turmeric or curcumin in Parkinson’s? This depends on the stage of Parkinson’s and the form of turmeric you are taking. If it is a preventive measure, then turmeric in diet can help reduce symptoms of dementia as well as aid in preventing Parkinson’s. If you are already suffering from Parkinson’s then a combination of curcumin supplements and turmeric in diet can benefit. Please refer to the Dosage section below. 4. What dose of turmeric should I take for Parkinson’s? This depends on the form of turmeric you are taking. Please refer to the Dosage section below for details. 5. Is it safe to take turmeric supplements with Golden/Turmeric Paste in Parkinson’s? 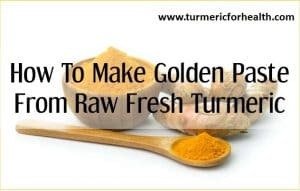 Yes, it is safe to take Golden Paste or turmeric in the diet when taking supplements; however, it is advisable to limit to low doses of Golden Paste say 1-2 teaspoon in a day to avoid gastric discomfort. 6. What herbs can I take with turmeric for Parkinson’s? Turmeric goes well with most herbs but it is best to consult a herbalist or naturopathy expert about this. Omega 3 supplements may be beneficial. Ayurveda recommends seeds of Mucuna pruriens L.(DC) as a natural source of levodopa and also suggests the use of Withania somnifera L.(Dunal). Ashwagandha is also beneficial for brain health. Consult a herbalist or Ayurvedic practitioner before commencing with herbal treatment for Parkinson’s. 7. Can I take turmeric with medications that I am already taking for Parkinson’s? Yes, turmeric in the diet is safe and can be consumed when on other medications. However, when taking curcumin supplements keep a gap of at least 4 hours before taking any other medicines as curcumin interferes with drug metabolism. Also, avoid taking Golden Paste close to the time of taking other medicines to avoid drug interactions with black pepper. 8. How long does it take to turmeric benefit in Parkinson’s? Turmeric is recommended as add-on therapy in Parkinson’s and the effects may be evidenced as improved cognition, improved memory, etc. It makes take as much as a month to see benefits depending on the severity of the disease and the dose taken. 9. Are there any side effects or precautions to note about turmeric? 10. Should turmeric be avoided in gout? 11. I am taking a blood thinner, can I take turmeric? Turmeric in small amounts in the diet is safe but turmeric supplements should be avoided in case of bleeding/clotting disorder. It is advisable to discuss this with your doctor. Including turmeric in the diet is very very easy. You can add it to anything you cook. You can check some great recipes in recipe section of the website too. Curcumin, the active ingredient of turmeric is poorly absorbed in the body. Natural ingredients like black pepper and oil increase its absorption. Therefore we recommend taking Golden Paste, a recipe that combines all three. You can start with ¼ to ½ teaspoon a day and gradually increase the dose to 1-2 tsp 2-3 times a day or how it suits you. You also consume Turmeric Milk or Turmeric Tea. 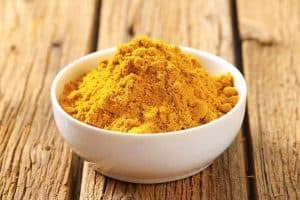 If you need help locating organic turmeric powder you can check our recommendations. In the early stages of Parkinson’s or for dementia, dietary turmeric can be of help. However, research is focused on optimizing curcumin as a treatment for Parkinson’s disease. You can consult your doctor about curcumin supplements (Curcumin phospholipid/ Longvida or even standardized 95% curcumin with Bioperine). Turmeric spice does not cause any side effects when used in food. Turmeric in the diet is safe and studies show that supplementation doses up to 8g do not cause side effects. But it is not advised to take such high doses. Also if you are new to turmeric you might experience slight gastric issues which fade away gradually. Turmeric supplements should be taken when advised by a doctor. Curcumin has blood thinning property and hence turmeric supplements are to be avoided 2 weeks prior to surgery. Also, avoid supplements when taking blood thinners. Turmeric supplements should be avoided in pregnancy and lactation. They are not recommended if suffering from gallstone obstruction. Turmeric supplements may interact with blood thinners, blood sugar lowering medications, stomach acid reducing drugs and certain antidepressants. Turmeric is high in oxalates, so if you are suffering from kidney stones or gout it is advisable to limit intake of turmeric as a spice and consult a health practitioner for turmeric supplements if needed for therapeutic action. Parkinson’s disease does not have a cure to date. However, the inclusion of foods that are good for brain health can help prevent Parkinson’s disease. Dietary turmeric can help prevent Parkinson’s and research on experimental models show that curcumin can aid in the treatment of Parkinson’s disease in multiple ways: reducing oxidative stress, reducing accumulation of proteins in the brain and regulating abnormal levels of neurotransmitters. Studies on humans and ways to deliver curcumin to the brain at therapeutic doses for Parkinson’s treatment are required and it is actively researched upon. Do you think turmeric and black pepper can help to reduce brain pressure(hydrocephalus due to trauma)? Also,what is the appropriate dose in case of 3-5 years suspected Parkinson (atypical Parkinson), How long it takes to show effect? Hi. There have been some animal studies that indicate the use of curcumin for lowering hydrocephalus. It is not yet confirmed in humans. For Parkinson’s disease, curcumin supplements may be necessary. A dose of 300-400 mg of standardized 95% curcumin with Bioperine 2-3 times a day can help. It can take about 1-3 months to observe the effects. Avoid taking supplements on an empty stomach and close to the time of taking medicines. Consult a doctor before taking turmeric supplements. Reading this article it almost sounds like you just need to take the curcumin and you don’t need tumeric? Do you need both in combination? In certain health conditions, a really high dose of curcumin may be necessary to observe any benefits and Parkinson’s is one such condition. If its possible, it is advisable to include turmeric in the diet ( approx 1/2-1 tsp daily) even while taking curcumin supplements as turmeric powder can offer other bioactive components present in the herb. A lot of very useful information for those of us with Parkinson’s. I would have liked some specific studies cited as evidence, to back up the claims here. I have been using Super Bio Curcumin from Life Extension, which contains BCM-95, a form of curcumin which is more readily absorbed and stays in the system longer. It seems to be helping me maintain my ability to move and to think more clearly. Time will tell. Thanks for the info. Hi Andrew. Thank you for sharing your experience. We are glad to know that turmeric helps you. About the studies, well the words highlighted in orange link back to the studies on turmeric/curcumin and Parkinson’s. Hope this helps. You say leave a gap of 4 hours between medication and curcumin suppliments – as I take levadopa every 4 hours this is impossible – the most I can leave is 2 hours – what do you think? Hi. A minimum of 3 hours is recommended but it would be better if you can confirm with your health practitioner. more information on Turmeric/Cumin. My wife at 85 has had slowly progressing Parkinson’s for 30 years. She fell on her head about six months age, was stapled with 16 staples. Hospital x rays showed nothing, but how can you tell what happened beneath the scull. PLEASE ANY HELP !!!!! Hi. We can understand your worry. For a head injury, it is necessary to get professional help and a second opinion in some cases. Turmeric can help as palliative care in controlling inflammation and protecting brain health. Please consult a health practitioner about this. 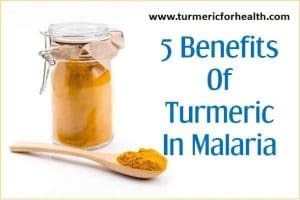 It is very interesting to know that the cure of many illnesses lies with simple naturally grown products like Turmeric! What dosage of turmeric supplement is advised. 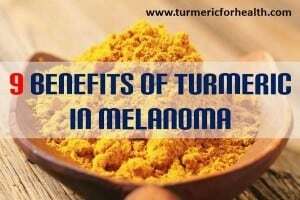 It is best to consult a doctor regarding dosage of turmeric supplements for it depends on the formulation. The recommended dose for standardized 95% curcumin extract with bioperine or black pepper is 400-600mg 2-3 times a day after meals. My mother in law has been taking turmeric in milk for the last 10 years…..but she developed Pakinsons and its progressing…. 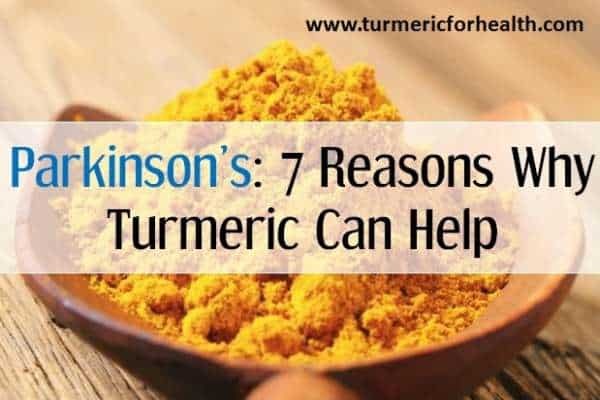 Poornima, as mentioned in the article there is research that is currently being done to make turmeric more available in the body so as to treat Parkinson’s. The low bioavailability of turmeric in body is one issue. Also one should make sure that they are getting good quality turmeric free from additives, colors and fillers. You could consult the doctor about turmeric supplements. sandyschlager.mywakaya.com we have the best turmeric you can get. Also Ginger, turmeric tea, we have it in capsules as well as powder forms.